Back in June, Nokia splashed out on a big chunk of Scalado's imaging business, and now we're seeing the first fruits of that costly union. 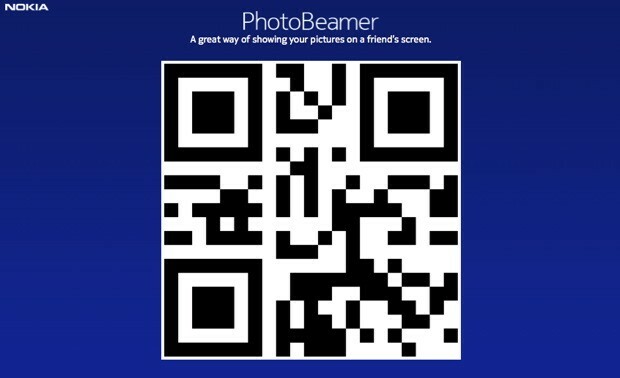 The handset maker has re-launched and re-branded Scalado Photobeamer as, you guessed it -- Nokia PhotoBeamer. Aside from the name change, it's the same QR code-based seamless picture service we've seen before, albeit with a Windows Phone 8 twist. It works over WiFi or cellular data and is currently available from the Windows Phone Store -- although it looks like it's exclusive to just the Lumia 820 and 920 for now.